Linen Pocket Folders Printed in Full Color on 100lb White Linen Stock with 1 or 2 Pockets and Business Card Slits Included. 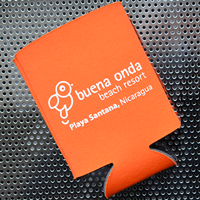 Printed on 100lb White Linen Stock Cover. Business Card Slits Available on Right, Left, or Both Pockets. 100lb Linen Pocket Folders: Envelop your work in our rich, 100lb Linen Pocket Folders. These beautiful, quality folders are printed in full, captivating color on a rich 100lb Linen paper. Presentation matters, and these 100lb Linen Pocket Folders are crafted with care to impress your potential clients. Folders are 9x12 and are available in quantities of 1000, 2500, and 5000. Select between 1 or 2 pockets. 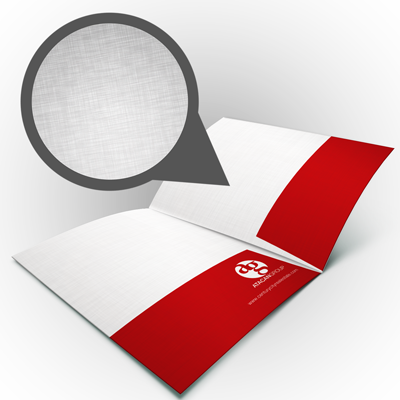 100lb Linen Presentation Folders are printed with a dull linen matte finish.